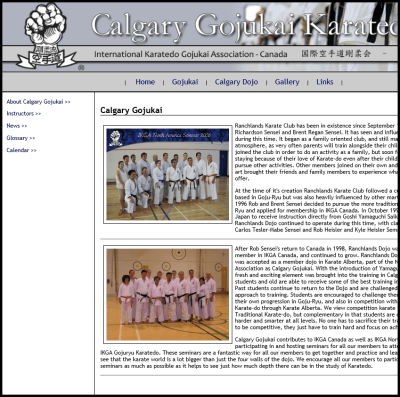 Official Web Site of IKGA (International Karatedo Gojukai Association) Canada. Traditional Japanese Gojuryu Karatedo - Yamaguchi Style. IKGA Canada was incorporated under the laws of Canada in 1983. 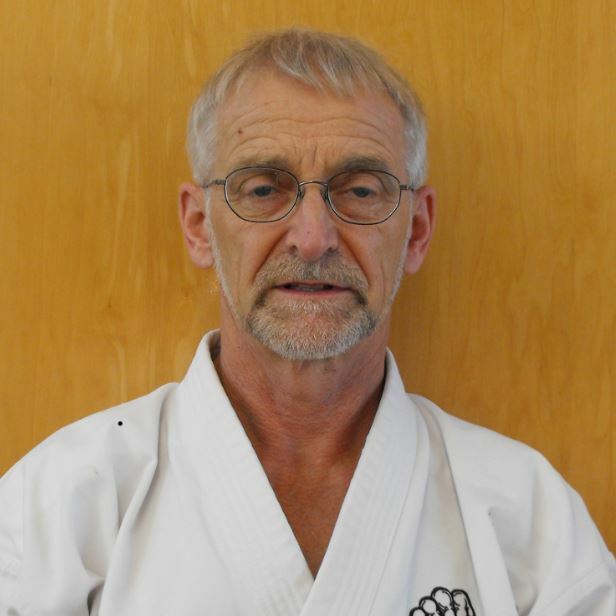 It is the only legitimate Canadian representative of Yamaguchi Gojuryu Karatedo. 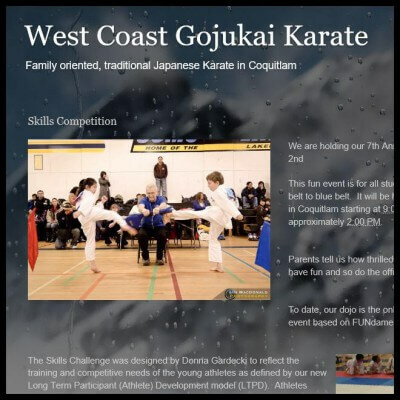 The International Karatedo Gojukai Association Canada (IKGA Canada) is dedicated to providing instruction in the art and science of Yamaguchi Gojuryu Karatedo within Canada. It is responsible for the orderly development of this unique form of karate, under the general guidance of the international headquarters located in Tokyo, Japan. 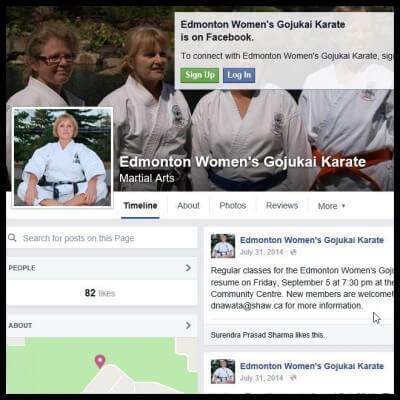 The first Canadian Yamaguchi Goju-Kai dojo was established in Edmonton, Alberta in the late 1970s by Yamashita Sensei. Yamashita Sensei was appointed as shibucho (director) for Canada by the founder of IKGA, Gogen Yamaguchi. 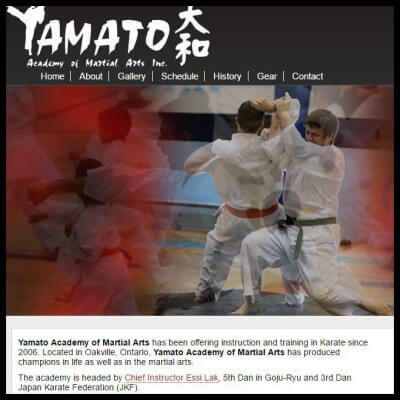 Before arriving in Canada, Yamashita Sensei had trained at the legendary Karatedo College established by Kaiso Gogen Yamaguchi. Students at this college participated in a 3-year intensive training program that resulted in the awarding of the I.K.G.A. Sandan - 3rd degree black belt. Many graduates of this college later became Chief Instructor of their respective countries. Yamashita Sensei established dojos and worked in Argentina where he taught over 1200 students before immigrating to Canada. 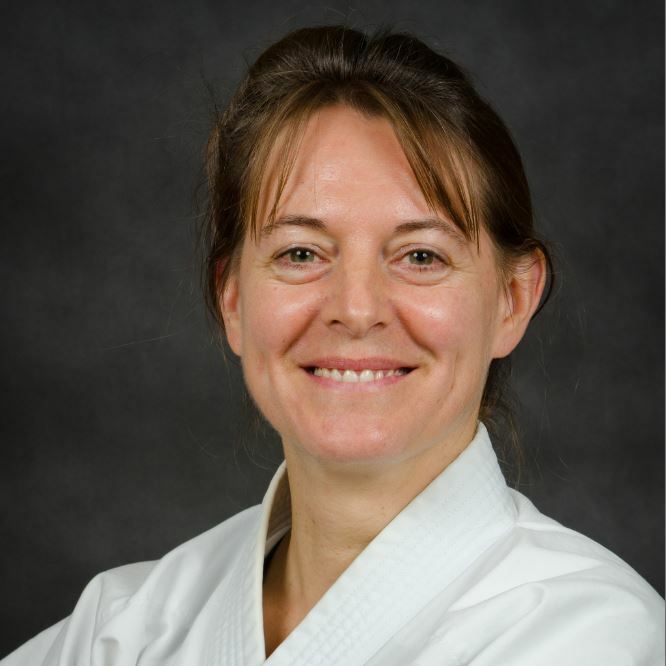 Now retired from active karate, Yamashita Sensei has left an enormous legacy, being carried on by some of his senior students. To develop standards to help members to achieve their potential with safety. 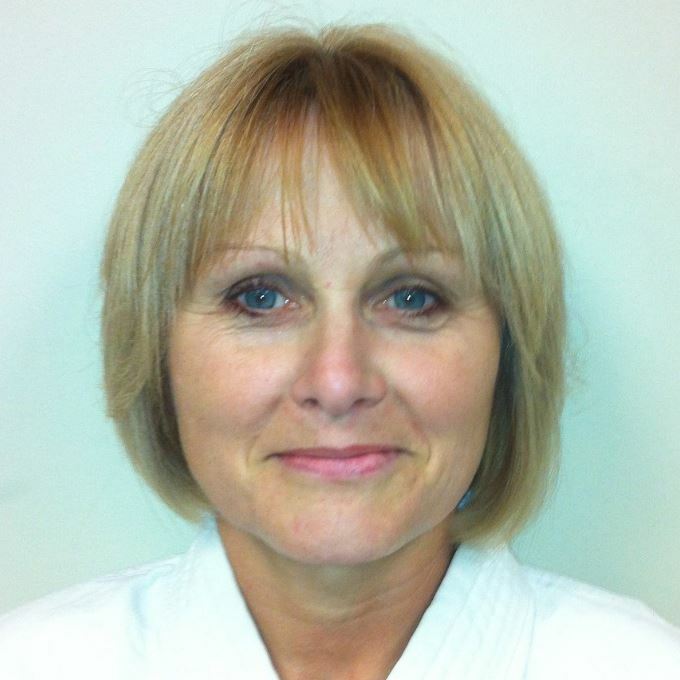 To provide uniform training in IKGA gojuryu karatedo within Canada. Goju-ryu karatedo shares its roots with other styles of karate developed over the centuries from the unarmed fighting arts of China. These arts came to Okinawa, where they underwent development and fusion with Okinawan unarmed fighting styles. Several different approaches to self-defence came to the fore at this time, with one centred in the city of Naha. Naha city in Okinawa was thriving with martial arts activity in the 1850's. Along with practitioners from the towns of Tomari and Shuri, the Naha martial artists were laying the groundwork for the development of modern karate-do and kobudo (weaponry). 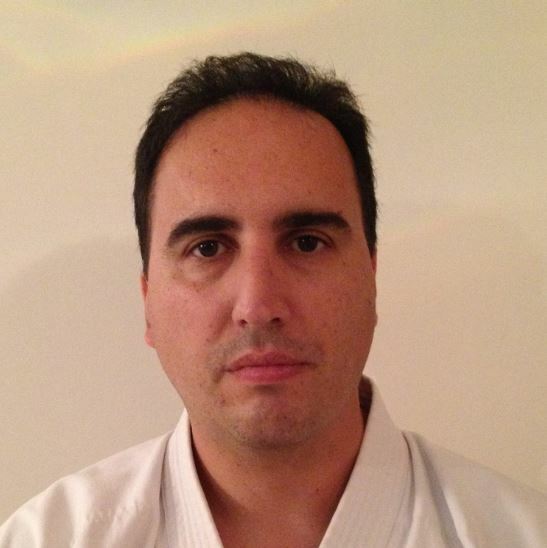 The history of Goju-ryu can be traced back to a man named Master Kanryo Higashionna, (ca. 1840 - 1910), known as the "Fist of Naha". Although Higashionna began his training there, the true seeds of Goju-ryu were not planted in Okinawa but in China. Higashionna went to China and studied under a man named Master Woo (Ru in Japanese) who was a practitioner of Chinese boxing. Higashionna trained under Master Woo for approximately 15 to 20 years. On his return to Okinawa he combined his native fighting system with the Chinese system and became the father of Naha-Te. It did not take long before his fame spread throughout the island and students started to come to him for training. Among them was a student named Chojun Miyagi. Chojun Miyagi Kensei (Sacred Fist) then coined the term Goju-ryu. Later, due in large part to his tireless efforts and those of his followers, the popularity of Goju-ryu spread throughout the world and eventually became recognized as a traditional school of Karate. Gogen Yamaguchi Kaiso (Founder) was entrusted by Master Chojun Miyagi with the task of popularizing and developing Goju-ryu Karate-do on the Japanese mainland. Master Gogen dedicated himself to the spreading of Karate-do in Japan and abroad by organizing the All Japan Karate-do Goju-Kai Association (J.K.G.A.) 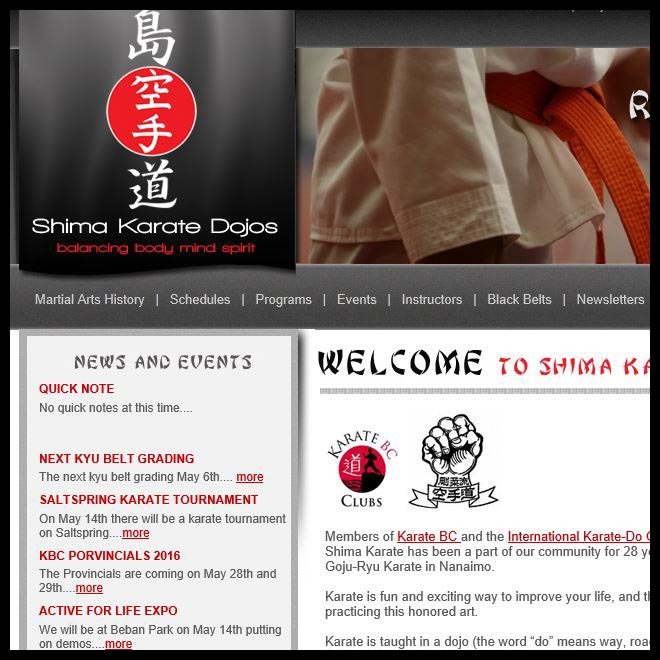 and the International Karate-do Goju-Kai Association (I.K.G.A.). Goshi Yamaguchi Saiko Shihan, (Highest Master), Master Gogen's third son, inherited his father's legacy after Master Gogen's death on May 20, 1989, and is currently President of the J.K.G.A. and of the I.K.G.A. 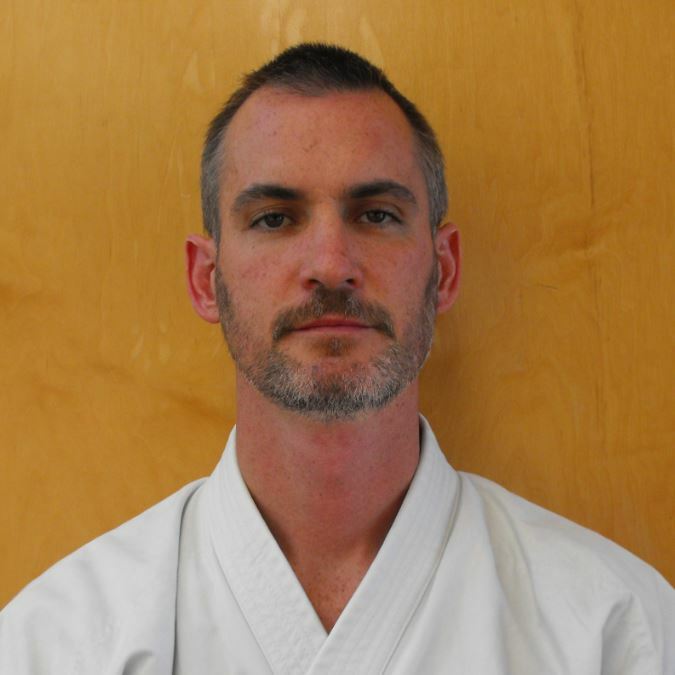 The technical and traditional side of IKGA Canada is managed by an appointed Technical Committee drawn from the pool of senior black belt members, and chaired by a designated director, who is also a Board member. The Technical Committee maintains the technical standards of the style by visiting member clubs for training, publishing uniform grading standards and a training manual, governing the gradings for black belt ranks, and approving instructors to the Instruction Committee. The traditional behaviour of the style is maintained by example and discussion, plus approving trips to Japan or other countries for training and international experience. Instructors are approved by and act under the guidance of the Technical Committee. 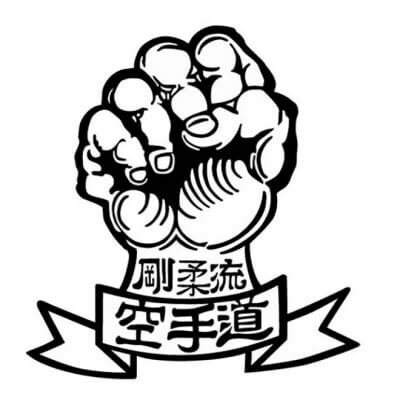 The Gojukai Fist Emblem was first used by Gogen Yamaguchi at the karate club he founded at Ritsumeikan University, Japan. 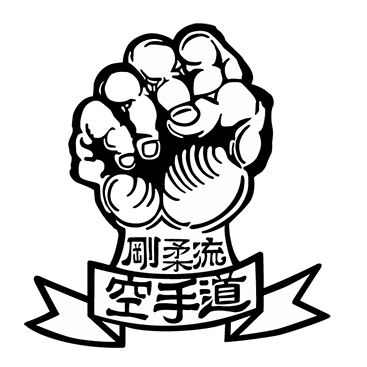 Many people and organizations are under the impression that the Gojukai Fist Emblem is a generic symbol representing goju-ryu. They are wrong. That would be like saying that the golden arches is the symbol of burgers and fries and that anyone serving burgers and fries can display the golden arches. In Canada, only members of IKGA Canada are authorized to use or display this trade-mark or, as defined in the Act, any mark that is confusingly similar. All unauthorized users of this trade mark or any mark that is confusingly similar are subject to prosecution. For more information on trade-marks please visit the Canadian Intellectual Property Office. 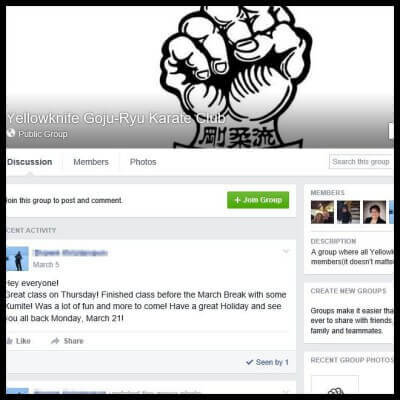 For more information about the Gojukai Fist Emblem please contact IKGA Canada Headquarters.